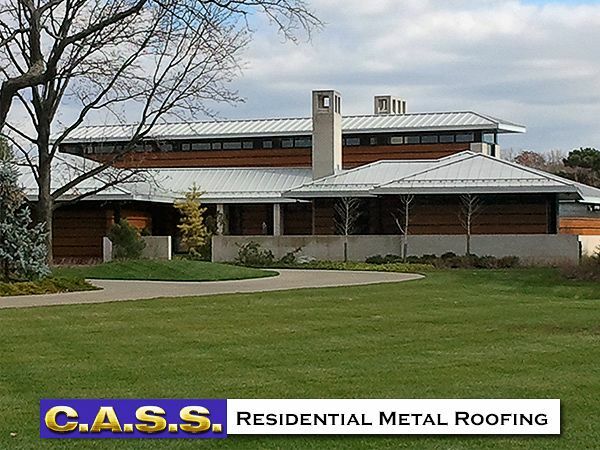 Having CASS Custom Architectural Sheetmetal Specialists replace or install the roofing or siding on your new home construction project or current home renovation has many unique advantages. • Utilizes Reflective Pigment Technology – Saves you Energy! 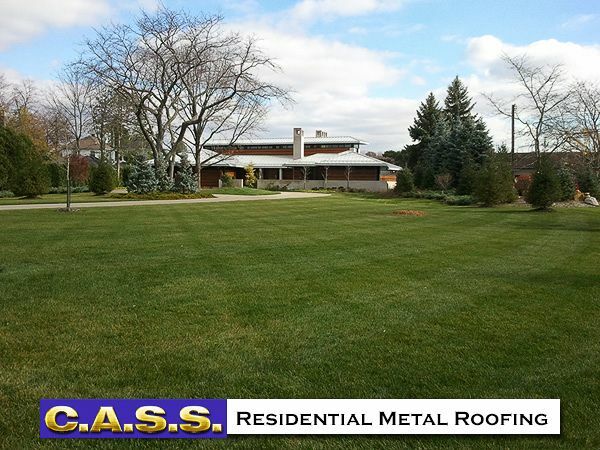 Instead of re-roofing your home repeated times due to deteriorating, dried out, cracked and crumbling traditional asphalt shingles, having a high-quality metal roofing system installed by CASS Sheetmetal will likely be the last roof you’ll ever need. 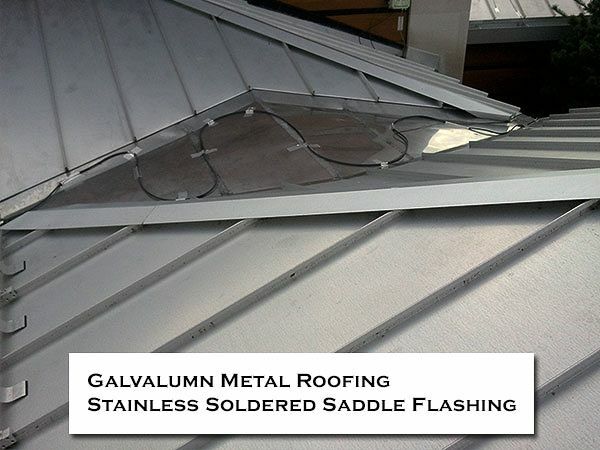 Metal roofing offers you many advantages. Metal Roofing is often considered a lifetime roof, properly installed easily exceeding 40 years. Metal roofing systems can also withstand extreme seasonal weather conditions including heavy snow loads, high winds, hail storms and wildfires. Metal roofing also offers you Energy Savings as well. 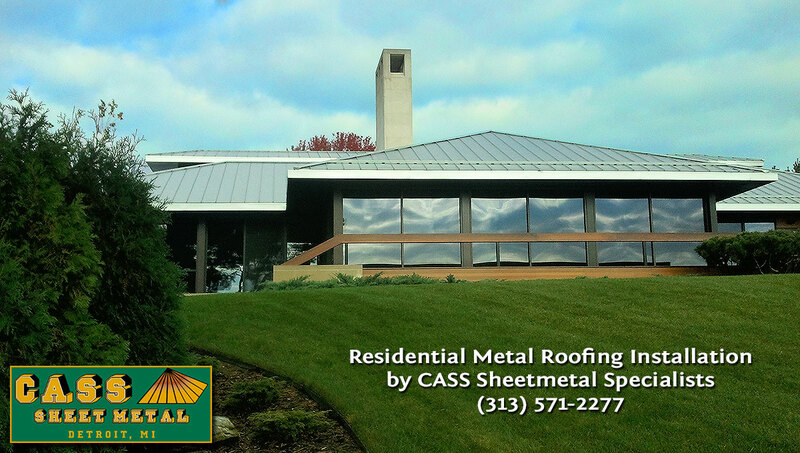 Talk to the roofing experts at CASS Sheetmetal today (313) 571-2277 and discover the many cost saving benefits and advantages of metal roofing for your home or business. Ideal for high-end homes, lake-front and Snow country residence. 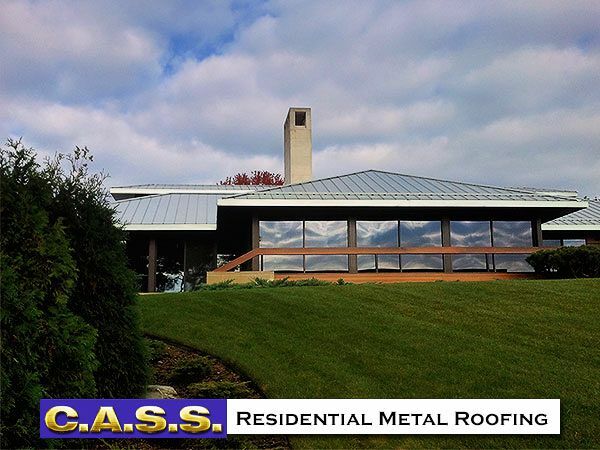 Metal Roofing Systems by CASS offers concealed clipped fastened and properly flashed roofing. Detailed metal roofs will last years beyond traditional asphalt shingles or short term Pole Barn roofing applications. Standing Seam with intrigal concealed clip system allows movement for expansion and contraction of the metal roof while remaining water tight and allowing for “easy snow” and water run off. Exposed fastened pole barn type roof applications rely on grommeted rubber washers through the metal deck type roof system. These fasteners restrict the natural expansion and contraction tendency of the metal roof material. Each hole through the metal roof can be gradually elongated and widened due to thermal cycle expansion stress. The gasketed washers dry rot over time providing source for moisture migration. 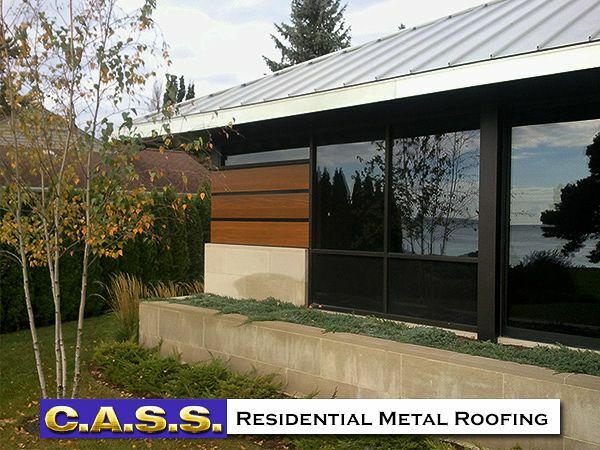 The CASS Metal Roofing Systems is engineered and installed by experienced sheetmetal craftsmen to prevent all these types of problems down the road. 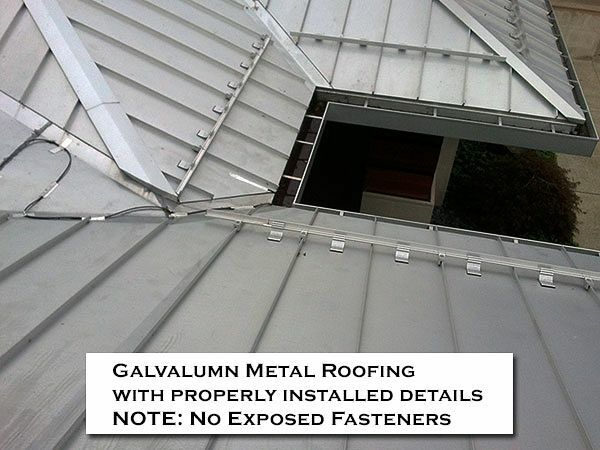 A PROPERLY DETAILED METAL ROOF MINIMIZING EXPOSED FASTENERS MAYBE THE LAST ROOF YOU EVER INSTALL. Custom Architectural Sheetmetal Specialists, Inc. or CASS Sheetmetal as it is known by its clients, has been in the custom sheet metal design, fabrication and installation business in Detroit, MI for over 20 years. Not only has the company helped to create some of the most beautiful landmarks in Southeast Michigan, but it has also built a reputation as one of the region’s best commercial/residential sheetmetal contractors. In addition to providing architectural sheetmetal services. CASS Sheetmetal offers all facets of custom sheetmetal roofing as well as other types of custom roofing applications, including copper, metal roofing, siding, architectural design panels, slate tiles, shakes and shingles. Note: Links in the article below are not active.